Cicely is a creative, dynamic, and forward-thinking association management professional who likes to break the mold. 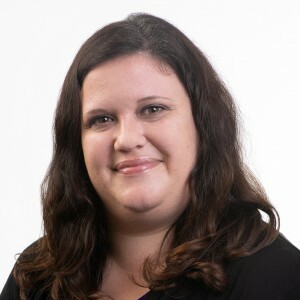 She re-joined the Wanner team in August 2018 after several years’ work for the state medical society. Cicely initially worked for Wanner Associates as a public relations intern, and later as a temporary assistant executive director. At present, Cicely serves as the Executive Director of the Pennsylvania Self Storage Association, the Deputy Executive Director of the Pennsylvania-Delaware Chapter of the American Society of Landscape Architects, and the Account Executive of the Pennsylvania Providers Coalition Association. To these roles, Cicely brings more than five proud years’ experience in the management of large and complex non-profit organizations; she previously served as the executive director of two state-level medical societies, partnering with the volunteer leaders of those organizations to develop, implement, and communicate strategic initiatives, and to affect positive change. Outside of the office, Cicely is an avid reader and enjoys gardening and touring estate gardens. She received a Bachelor’s degree in English from Penn State Harrisburg and has (most of) a Master’s degree in Garden Theory. She is currently studying to become a Certified Association Executive (CAE) and hopes to someday return to complete that Master’s degree.